In Facebook’s attempt to “bring the world closer together,” they have introduced hashtag following on Instagram. While you’ve always been able to search for hashtags, now you can follow a hashtag, either by searching for it first or by tapping the hashtag on someone’s post. Now, if you want to see #catsofinstagram or #gameofthrones posts, you can see them in your Insta feed. 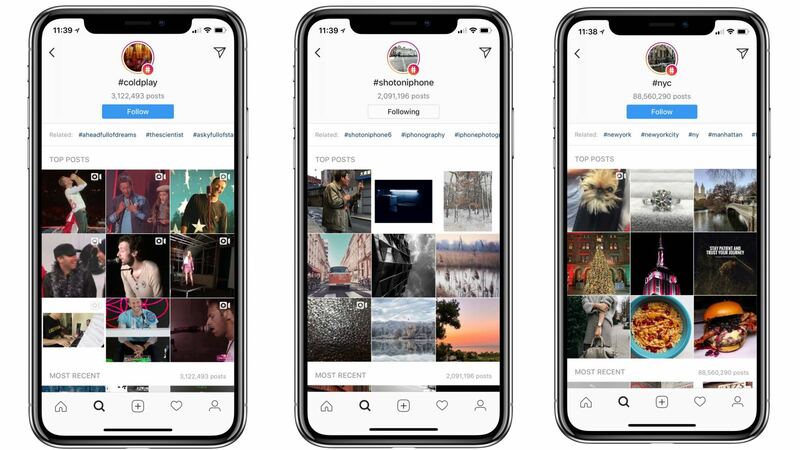 Instagram says that posts that make it into the feed of a hashtag follower are selected by an algorithm that includes the quality of the post, and how recently it was posted. And, as a follower of a hashtag, you get a vote as to whether or not a post that makes it into your feed belongs there. You can downvote posts via a drop-down menu that is available in the top right corner. Since spam and inappropriate content are a concern on any social network, Instagram is aware that there could be people or bots looking to corrupt the system. So, the network’s automated system for flagging bad posts is combined with an operations team that monitors the automated and user-generated flags and will block the offenders. In the last few months, Instagram has improved how it sources and ranks content with hashtags so that what is shown on those pages is OK. Teams of hundreds of people analyze trends in hashtags to keep their finger on the pulse of content that is posted. This may eventually have an impact on advertisers, since it would be easy for Instagram to collect follower data and create some pretty amazing ad targeting options, but right now that’s not the plan. Currently, this option is great for people who don’t want to follow a lot of users, but have niches and subcultures they’re interested in. Viva la Instagram!